Where is Sri Lanka and how big is it? 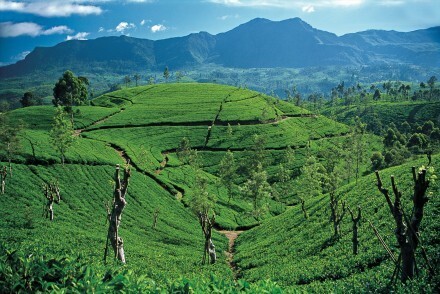 Sri Lanka (Sri, resplendent; Lanka, land) is a teardrop-shaped island lying off the southern tip of India and surrounded by the clear, warm waters of the Indian Ocean. Being very close to the equator (6-10°N), there is very little difference between the length of day and night, consequently the sun rises just before 06.00 and sets around 18.30. 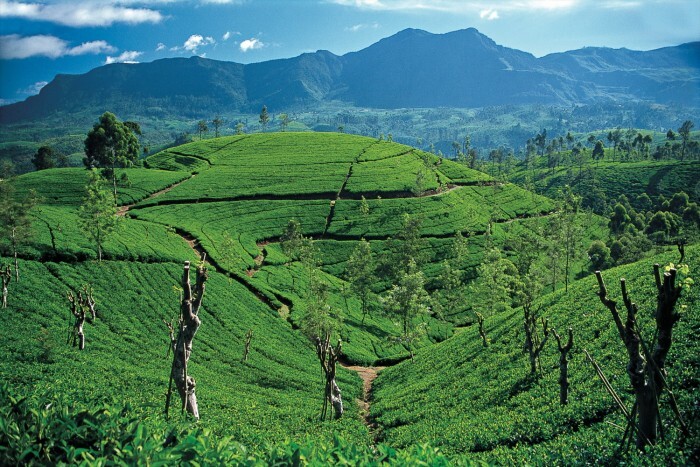 Sri Lanka is approximately 432 km from north to south and 224 km from east to west. With a total land area of 65,525 sqkm, it is similar in size to Ireland or the Benelux countries. Its 1600 km of coastline is lined with sandy beaches, coral reefs and lagoons, and its interior reaches a height of 2524 metres at Mount Pidurutalagala in the Hill Country, which is set back from the sea by a coastal plain between 10 km and 80 km wide. Flameback Eco Lodge is immersed within a bird sanctuary amongst lush vegetation alongside tranquil Weerawila lake near Tissamaharama, conveniently placed for jeep safaris in Yala and Bundala National Parks. The luxury ‘glamping’ tented lodges are privately located pods hidden in an evergreen garden bordering an enchanted lake. Each lodge allows guests to be surrounded by nature and the great outdoors without losing an element of luxury and comfort. SinhaGiri is an immaculately restored 19th century bungalow in the heart of Nuwara Eliya, overlooking the racecourse and Gregory lake. This magnificently designed bungalow, with only two suites, stands testament to passionately collected art, treasures and memorabilia that preserve the heritage of SinhaGiri, and offers a unique opportunity to experience Sri Lanka through design, architecture and style. Wattura Resort & Spa is a luxury boutique hotel nestled between Waikkal beach and the Gin Oya estuary on the west coast north of the airport, a sanctuary of serene solitude blending wellness, family and romance, providing the perfect escape for all.